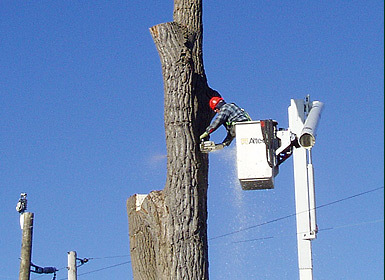 Our certified arborists safely use expert techniques and equipment to remove trees and stumps that are dangerous, dead, diseased, or unwanted. Landgraff's certified arborists can lengthen the life of trees, promote new growth, and improve structural integrity with proper trimming and pruning services. Our professional arborists are skilled in maintaining the healthy appearance and new growth of shrubs and hedges by making necessary cuts and by properly caring for plants. 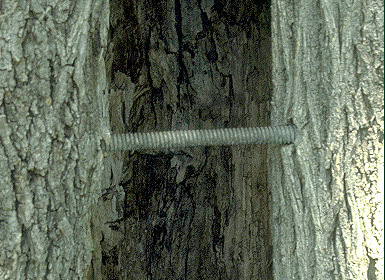 Landgraff Tree Service is the only company in Windsor that uses the Cobra Cable System to support and strengthen trees that are naturally weak or susceptible to damage. Landgraff's plant health care services focus on preventing, diagnosing, and treating disease or damage in trees and plants in order to encourage healthy growth. Our skilled arborists can thoroughly inspect trees to identify potential safety hazards and offer solutions to prevent further risk, liability, or damage. Landgraff Tree Service is a well-established company that provides professional and timely residential and commercial tree care and maintenance services. Since 1981, we have served thousands of satisfied clients with our specialized tree services throughout Windsor and Essex County and we are extremely proud of our positive reputation for being honest, knowledgeable, and experienced. 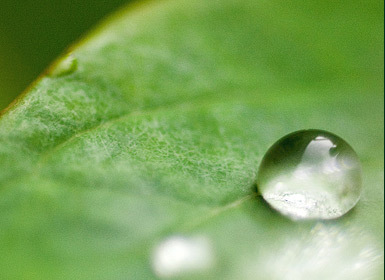 At Landgraff, our goal is to optimize the health and appearance of your trees, plants, and your property. 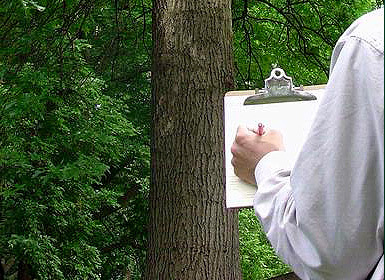 We will assess and evaluate the condition of your trees, shrubs, and hedges and we will confidently recommend the best course of action to meet your needs. We make every attempt to prevent the complete removal of trees as we feel that cutting down trees should be a last resort. 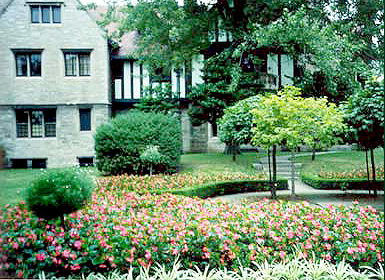 For that reason, we offer many solutions to avoid tree and plant removal including deep root fertilization and aeration techniques, cabling and bracing systems, and expert trimming and pruning services by professionally certified arborists. 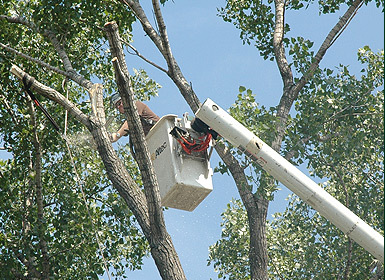 We have professionally trained tree climbers and use cutting-edge equipment to access any tree in any situation. We have a mini bucket man lift that conveniently fits through a 3-foot gate opening for easy access to residential backyard properties and an extra tall bucket truck that allows us to reach heights of 75 feet, necessary for access to very tall trees. We are also the only tree service company in Windsor, Ontario, that uses the Cobra Cable System to support and strengthen weakened tree limbs. Our team of certified arborists is here to help! We offer expert tree and stump removal, tree trimming and pruning, shrub and hedge maintenance, plant health care, cabling and bracing, and tree inspection and consulting. We look forward to hearing from you! Please contact us today or fill out our online form for a free estimate.